The extent to which proponents are willing to go to mislead California voters continues to be deeply troubling. Nevertheless, we’re confident that California voters won’t be fooled and that this fraudulent initiative will be decisively rejected. The organization Mercy for Animals (MFA) has released undercover footage showing the brutal mistreatment of pigs and piglets at Tosh Farms in Kentucky. But Friends of Animals and the Humane Farming Association objects to attempts to exploit the abuses shown in the video to promote Proposition 12, a controversial ballot measure introduced by the Humane Society of the United States in California. “We applaud MFA for documenting animal cruelty, but we strongly condemn its utterly false claims that California’s Proposition 12 would prevent the brutality highlighted in its video. The fact is, Proposition 12 allows those abuses to continue,” said Bradley Miller, national director of the Humane Farming Association. The egg industry would not only be allowed, but it would also be incentivized, to construct multi-tiered egg factories that provide hens with a mere one square foot of floor space. Although voters thought they had outlawed cages back in 2008, this measure would allow the egg industry to keep hens in cages until the year 2022. The measure would allow the industry to pack 33 percent more hens into egg factories than what HSUS promised throughout its entire Prop 2 campaign, as well as throughout the decade that followed. The entire U.S. egg industry would enter a trajectory benefiting companies that now use, or subsequently build, the very worst form of uncaged egg production. To distract from this outrageous betrayal, HSUS tossed in some language purporting to regulate the out-of-state production of pork, veal and eggs. No one should fall for that. Even in the unlikely event that this constitutionally questionable language survives the inevitable years of legal challenges, the U.S. Congress is already advancing preemptive legislation that would render all such interstate commerce regulation null and void. 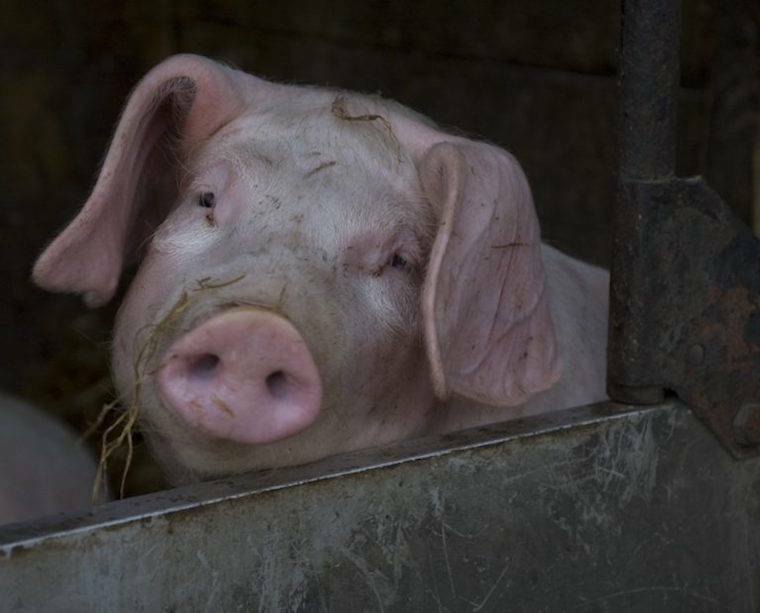 “The abuses shown in the video (the killing, beating, throwing, castration, and overall brutal handling of pigs and piglets) have absolutely nothing to do with Proposition 12,” said Miller.